Egypt's Doctors Syndicate will hold an emergency general assembly on Friday to demand an end to assaults on doctors and hospitals and to set standards to punish those responsible for any such attacks. The call comes in the wake of a recent assault by several low ranking police officers against doctors at Matariya Hospital in east Cairo after one of the doctors refused to include fake injuries in a medical report for one of the policemen. Eyewitnesses said a plain-clothed policeman, along with a group of colleagues who joined later, beat the doctor, kicked him in the stomach, and stepped on his neck before dragging him and a fellow doctor to a nearby police station. The doctors later had to withdraw their complaint of the assault against the alleged assailants after they were told that the policemen had filed several complaints against the physicians and they could all face detention. The doctors will meet at the syndicate headquarters in downtown Cairo to "defend their dignity" and shore up support to counter what they describe as a campaign to undermine the union. "Whoever does wrong should be held accountable. 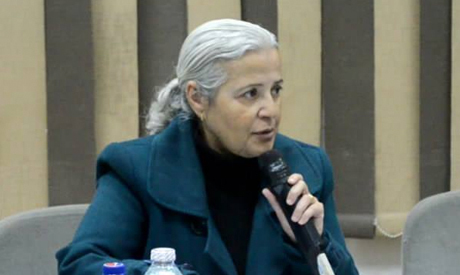 No one is above law," Mona Mina, secretary-general of the syndicate, told Ahram Online. On Wednesday, a senior prosecutor ordered a probe into nine policemen over the 28 January incident at Matariya Hospital. Despite the prosecutor’s decision, Mina says Friday's assembly is still necessary to ensure the assailants are put on trial. The doctors’ outcry over Matariya is the latest in incidents of reported police assaults on doctors and other hospital staff in various parts of the country. "We want to gather support to protect doctors, preserve their dignity in the future, and to back the existence and the role of [our] independent syndicate," she said. Mina has said that further action, from a simple protest badge on white coats to demonstrations and a partial strike, will be considered at Friday's assembly to ensure the assailants are brought to justice. Mina said Friday's gathering aims to push back against what she and other doctors believe is a “fierce” campaign to “silence” dissidents within the syndicate and undermine the union's independence. She said they fear that attacks on the syndicate by some politicians and media outlets will result in legal action that will bring the union under judicial supervision. Atef Makhaleef, the parliamentary representative of Matariya district, who says he witnessed last month's police assault on physicians, believes sufficient action has already been taken against the policemen involved. "I will not be biased. I will not give up the rights of doctors, but also will not allow them to undermine the interests of citizens," Makhaleef said in reference to the strike at Matariya Hospital. Doctors at the Matariya Hospital staged a strike late in January to call for legal action against the alleged police assailants, closing all non-emergency services at the hospital for almost a week. The hospital management and staff resumed only 50 percent of their operations a day after the country's top prosecutor ordered the entire facility reopen. Following the doctors' reaction, several local media outlets waged a campaign against what they allege is negligence and violations committed by Egyptian physicians against patients. These accusations stem from incidents such as when five patients at Tanta Hospital suffered severe complications last week after doctors administered an eye injection of what was believed to be an internationally approved drug. The Ministry of Health has opened an investigation into the incident. A day after the January attack, the interior ministry said it had suspended eight policemen who were allegedly involved in the assault at Matariya. A group of senior officers also visited the hospital to apologise to the staff, but the union has insisted those involved should be prosecuted. Several political parties and professional syndicates have backed the doctors' demands, including the Journalists Syndicate.